This week we step out of our gratitude celebrations and into a month-long preparation to celebrate the greatest Gift of all. During this most precious time of year, our thoughts turn to those we love. One of my favorite ways to communicate with my loved ones each year is to send a card including a letter and current family photo. In recent years I have begun to use Shutterfly to order prints of my digital photos, and have always been pleased with the quality. Shutterfly printed Lulu's birth announcements for us, as well as our family photo included in last year's Christmas card. Note: you are about to read a compensated promotion for a product I love. 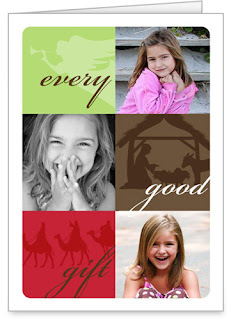 Beyond just prints, Shutterfly also offers many templates to incorporate my photos into a flat premade card. I upload my photo, they send me a finished product including envelope. This has, of course been available for years; yet while this is a great easy option, I usually have opted for prints, a separate card, and a letter. Recently I discovered that the available folding cards have become more the all-in-one product I would desire. This year, as I looked at the available Christmas card designs, I got excited to see the many options available to combine photos, colors, and even a letter. The number of choices just in the religious greeting card selection lets me feel I can choose something that expresses my personal style beyond just "the religious option." Don't tell my mailing list, but this is the design I chose! 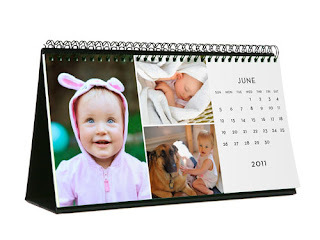 The options have also grown to include a nice variety of additional gift items such as calendars. This extends the gift of your shiny faces all the way through next year. The fresh, customizable layouts and choice of wall, desk and poster styles add your sparkle and personality to the already priceless gift of photos. If calendars don't work for you, they have other classy photo gifts available also. I love any chance to save on postage by one-stop shopping, don't you? While looking at purchasing Christmas cards, and considering creating gift calendars, my thoughts leap ahead a few more weeks to the two birthday parties I will be holding in January. 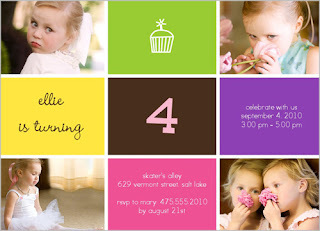 Why not go ahead and plan the party and design birthday invitations while I'm at it? I had better be careful or I could have my December to-do list finished in pretty short order. Oh, and if you order your cards today or tomorrow, you can get some pretty good "cyber-week" discounts for yourself, also! *Disclosure: promotional consideration for this post has been provided by Shutterfly. In exchange for me sharing with you my favorite aspects of their services (which I already use), they are providing my first 50 Christmas cards free of charge. If you are a blogger and desire to share in this promotion, check here for details.